Shoe-horning some art perusal into your holiday has never been easier thanks to the rise of hotels that also serve as galleries – or as we’re calling them, Art Escapes. Somerset’s Hauser & Wirth is perhaps the most famous example of the concept. Its art dealer owners Iwan and Manuela Wirth, who as representatives of Martin Creed and the estate of Louise Bourgeois (among many others) are somewhat highly regarded, took a farm with outbuildings and turned it into a guest house, bar and restaurant, bookshop, library and five gallery spaces. They worked with architect Luis Laplace for the building and landscaper extraordinaire Piet Oudolf for the grounds, while artist Guillermo Kuitca created a four-wall Cubist mural for the dining room. 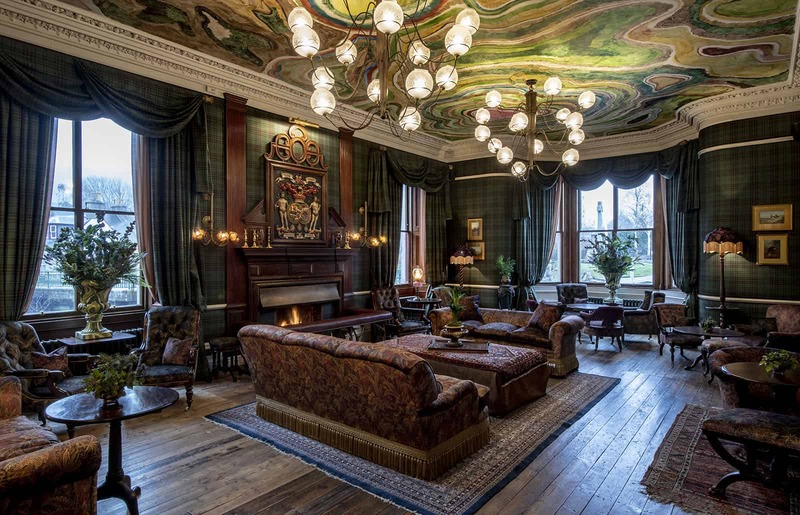 The Wirth’s have lately taken their winning formula to a village inn in the Cairngorms, Scotland, turning it into a 46-bedroom hotel and culture hotspot. 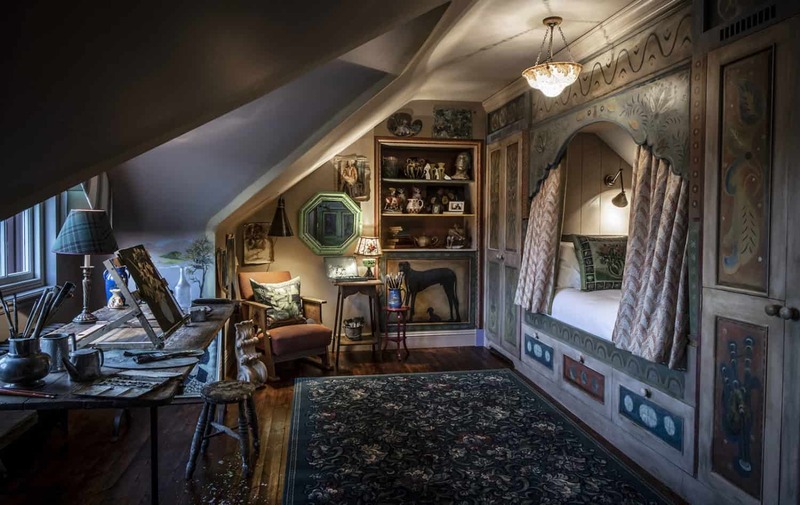 It’s a very different beast to their six-bedroom Somerset outpost, a fact that motivated us to take a closer look and seek out other places offering similar, but different takes on the idea. Here are three such hideaways that we wanted to pack our bags for. 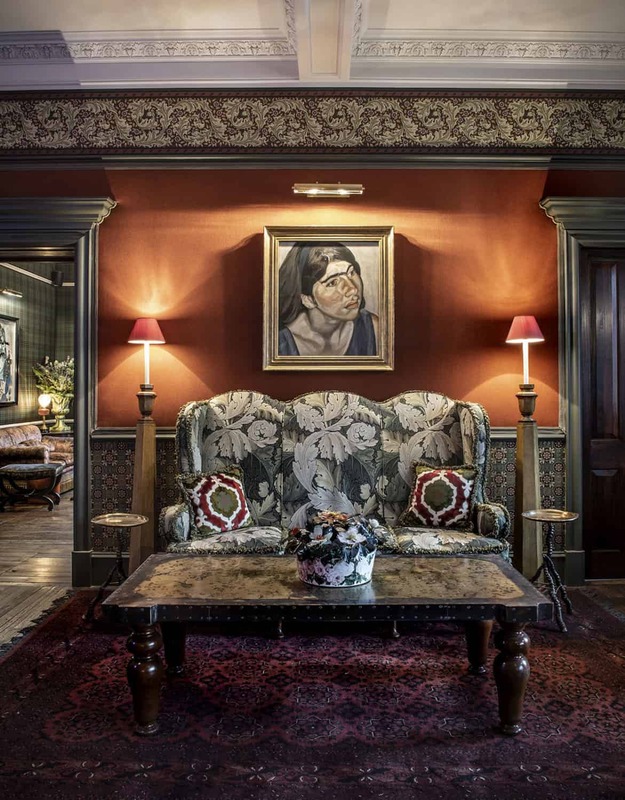 As mentioned, The Fife Arms in Braemar is the latest offering from Iwan and Manuela Wirth and at first glance it looks much like the archetypal tartan-clad Highland hotel. It has, however, been injected with countless decorative twists and a rather impressive art collection. Interior designer Russell Sage worked with local historians to create details that nod to the building’s heritage – including a reproduction Jacobean bed and an antique carved walnut chimney piece in the grand hall. The owners also worked with various Scottish craftspeople including Araminta Campbell who created a house tartan and bespoke tweed to clad some of the walls of the hotel and use for the kilts and hunting jackets sold in the shop. All of this is shaken up by very definitely contemporary interventions. For instance, a chandelier of glass antlers hanging over the four storey staircase that California artist Richard Jackson was commissioned to create. And, like Somerset, another Guilermo Kuitca mural to line the walls of the restaurant. 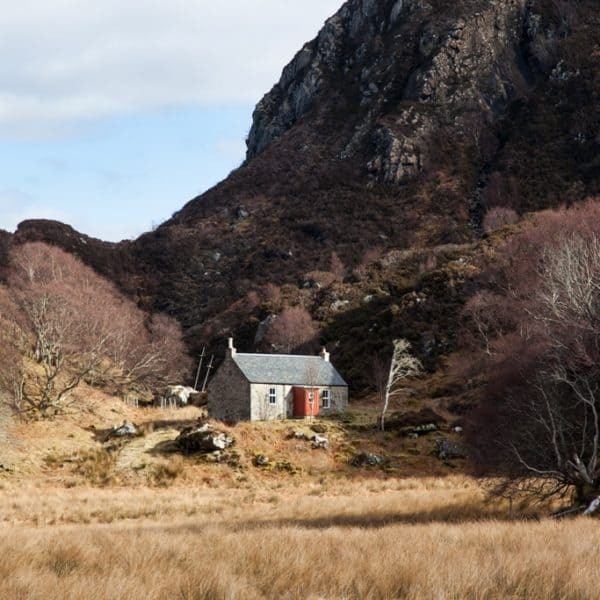 If you’re after an atypical Highland experience, then this place is perfect. Painters Brice and Helen Marden own a beauty of a boutique hotel in Upstate New York, in the historic town of Tivoli. 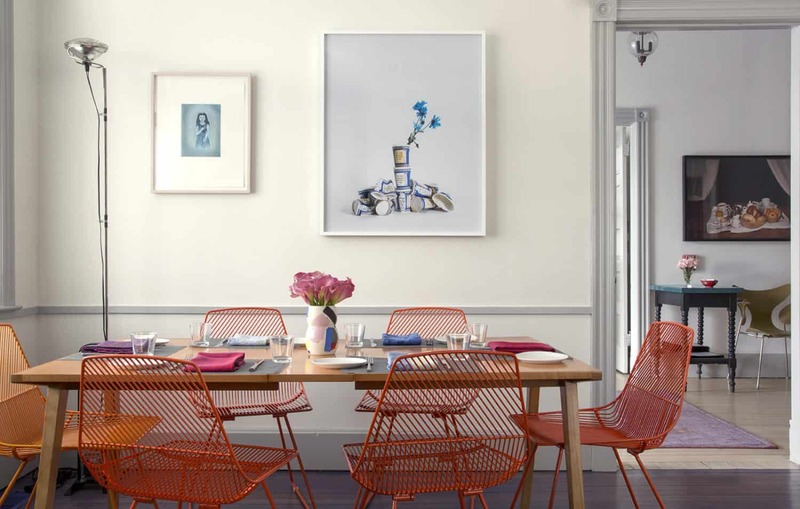 With its farm-to-table restaurant and enviable collection of furniture, lighting and of course art, Hotel Tivoli is a delight for the colour-loving senses. Each of the 10 rooms features a joyful mix of antique and contemporary furniture, with colourful metal-framed beds mixed in with Mid-Century design classics, locally-made chairs and some very fine Moroccan rugs. There are great decorative quirks throughout the rooms adding to the story of the hotel. 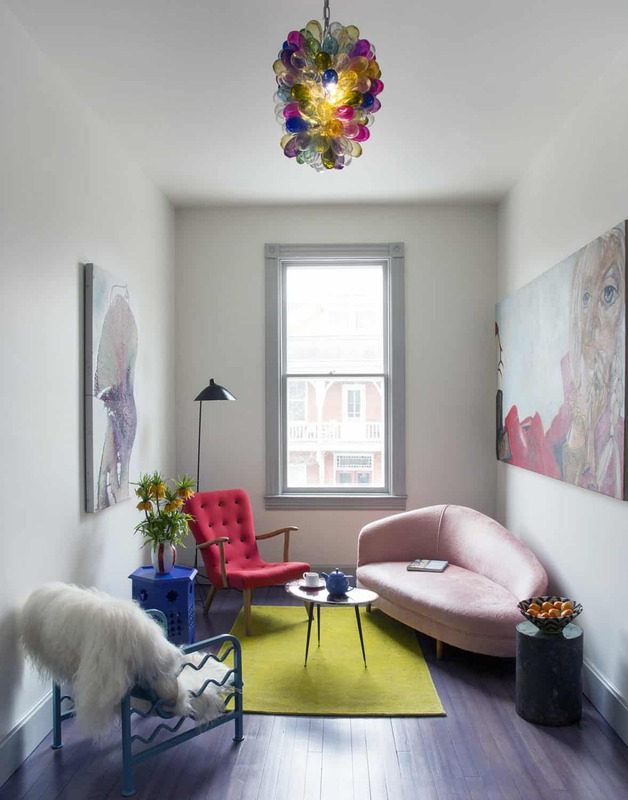 Brice apparently mixed cardamom into a classic Benjamin Moore grey paint to achieve his idea of a perfect neutral and the couple had a chaise longue re-upholstered in pink teddy bear fur to rather brilliant effect. Impressive artworks from friends and contemporaries of the hoteliers line the walls – not for sale sadly, but you can buy from the in-house Corner Store the same stunning ceramics that you’ll be eating from in the restaurant. These are from the Tivoli Tile Works pottery collection by artist Caroline Wallner, who is inspired by the surrounding Hudson Valley and they make for the perfect takeaway souvenir of your stay. The Craftsman’s Cottage is a holiday bolt-hole (which sleeps six) based three miles from the ancient Anglo Saxon town of Shaftesbury. 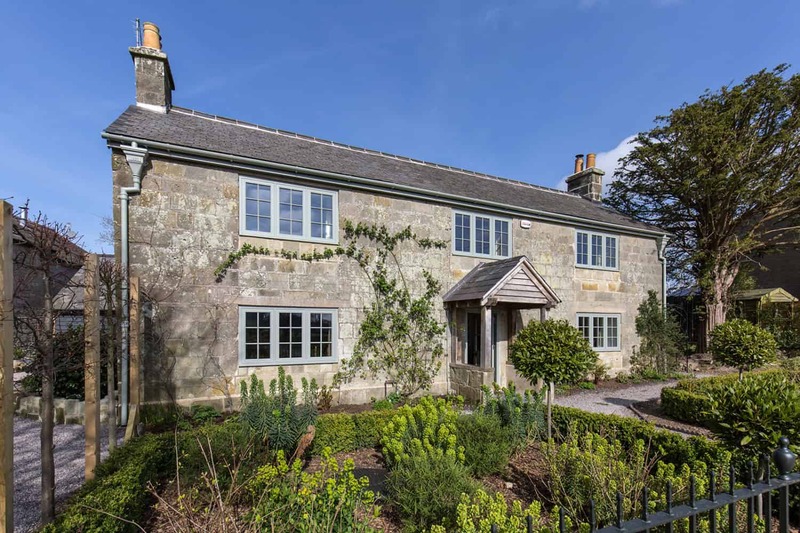 The cottage, an early 19th Century design built from Shaftesbury greenstone with a slate roof, has been lovingly restored by owner Amanda Bannister who has filled it with furnishings from Britain’s best designers and craftspeople. 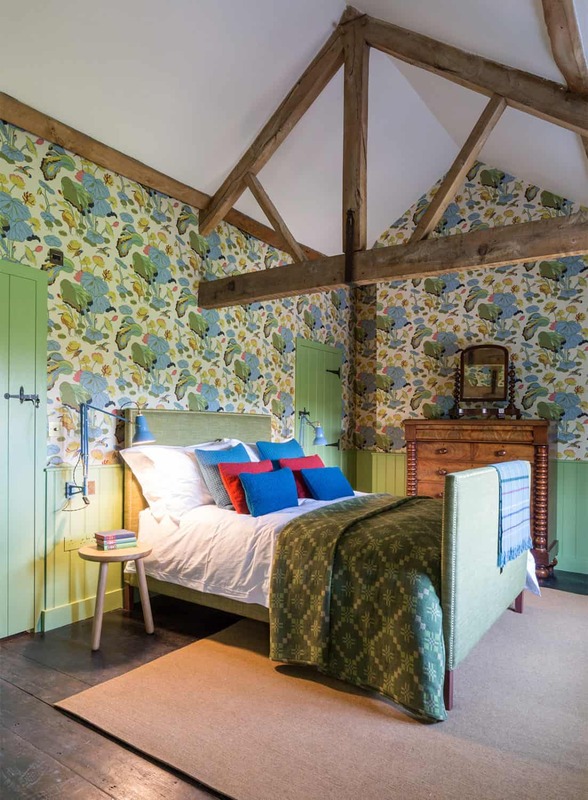 Throughout each room, furniture from contemporary names including Anglepoise, Pinch, Ptolemy Mann and – we’re proud to say – Another Country, cohabit with antiques from Ercol, the Cotswold School and the Arts & Crafts movement. Guests can buy many of the pieces direct from suppliers (at a discount) and are supplied with a full list of the artworks, also for sale. The ‘house as gallery’ concept has been executed beautifully simply here and The Craftsman’s Cottage has just added craft-led maker courses to their offering, in conjunction with Hole & Corner magazine. These include pottery, bookbinding and basket weaving. Images by The Craftsman’s Cottage, Hotel Tivoli & The Fife Arms.